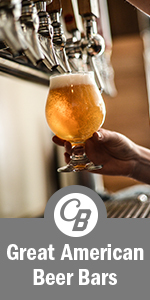 DENVER, CO — The Intrepid Sojourner Beer Project® is Colorado’s “Best New Brewer” in the RateBeer Best Awards for the year 2018. The award is based on ratings made by beer-drinking customers on its platform, with particular emphasis on tasting ratings made back to January 2018. “New brewers” started collecting their first ratings on or after Q3 2017. The post Intrepid Sojourner Named Colorado’s Best New Brewer appeared first on CraftBeer.com.